Timeless, elegant and classic. That is what comes to mind when I think of Guido da Costigliole. 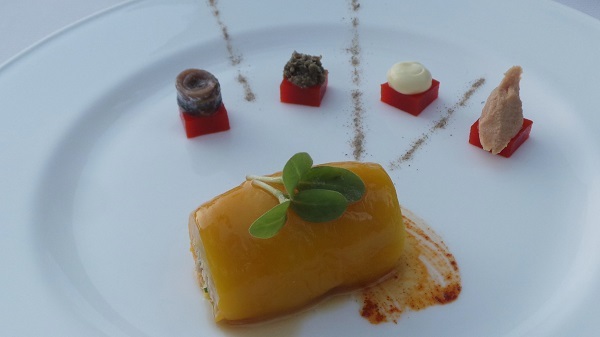 Tucked away in the hills of Santo Stefano Belbo, in the picturesque Relais San Maurizio, Guido is one of the meccas of fine dining in Piedmont. Andrea Alciati and his partner Monica Magnini run Guido with palpable enthusiasm and passion. 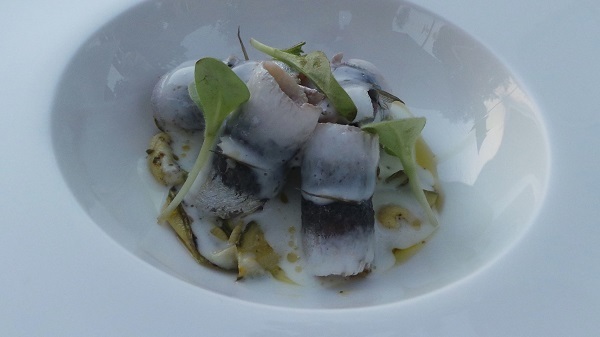 The Alciati family has been at the forefront of Piedmontese cuisine for several decades. Guido and Lidia Alciati, Andrea’s parents, opened the celebrated Da Guido in Costigliole in 1961, long before Piedmont and its wines were fashionable. Even back then Da Guido was one of the most famous restaurants in Piedmont. Guido Alciati was famous for taking huge positions in wines that would go on to become icons, like the Produttori del Barbaresco's 1970s Riservas and Luciano Sandrone’s first Barolos. Upon Guido Alciati’s passing his three sons went in different directions. Andrea settled in at the Relais, not too far from the original Da Guido, while brothers Ugo and Piero went on to open their version of Guido first at Pollenzo and now in the Fontanafredda complex in Serralunga. The Relais San Maurizio is one of the jewels of Piedmont. This former monastery is now home to a luxurious country hotel with a pool, spa and plenty of amenities, not to mention Guido, where I recently enjoyed three fabulous dinners. Somewhat secluded and remote, the Relais is not too far from Barbaresco, but a bit of a drive from Barolo. It’s worth it. Diners will find a menu built on lighter, modern-day interpretations of the classics, along with a few more inventive creations. The extensive wine lists offer myriad choices of both local and international wines. Readers can bring their own wines for a modest corkage fee, which is rare in Piedmont. Even better, Guido will build tasting menus for diners who would like to supply their own truffles. Note to self: Put this on the short list for the fall! The exposed-brick vaulted dining room is the perfect setting for truffle season. In the summer, weather permitting, dinner is served on the outside terrace, which is one of the most spectacular settings in all of Piedmont. 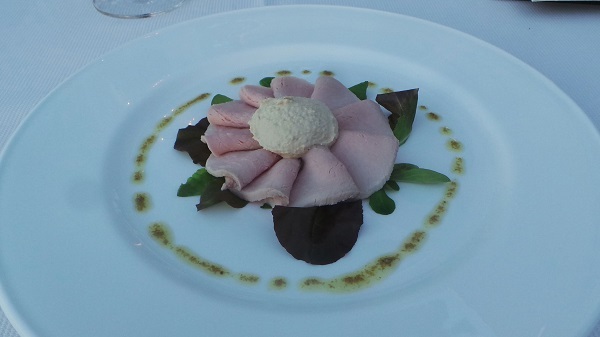 Guido's vitello tonnato and roasted yellow pepper are modern-day takes on two of the most traditional dishes in the Piedmontese repertoire, while the marinated sardine appetizer is a more whimsical creation perfect for a warm summertime evening. All three are fabulous. The classic Agnolotti are offered in several preparations, with al tovagliolo being the most classic. 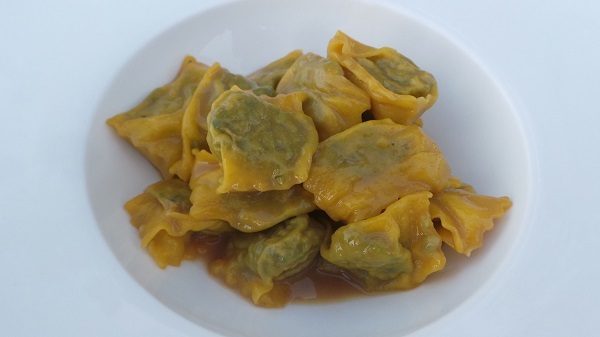 In the Piedmontese tradition, the just-cooked agnolotti were presented in a cloth napkin (tovagliolo) with no sauce of any kind the head of the household for approval before they were served. One rarely sees this presentation today, but there is certain simplicity to agnolotti prepared this way that I adore. The agnolotti topped with sugo di arrosto, a sauce made from the drippings of the roasted meats that would typically be served as the secondo, are outstanding. One night I made the mistake of ordering a half portion, and deeply regretted it. The two main courses are absolutely delicious. Fassone is a breed of Piedmontese cattle. Here the meat is slow roasted for 10 hours and served alongside a small fritto misto that incorporates sweeter flavors that are typical accompaniments to braised meat dishes in parts of Northern Italy. The fassone is fabulous, but I am less of fan of the fritto misto, as the sweet flavors, including orchard fruits and amaretti, aren’t ideal for wine. One of the highlights at Guido is the Vicciola, a breed of Piedmontese cattle that is raised on a diet of local hazelnuts, which results in very tender yet lean meat bursting with flavor. I always prefer more transparent meat courses such as this one, as the flavors and textures are an ideal canvas for the profoundness of Nebbiolo. Gosset's NV Brut Grand Rosé, with its dry, brisk flavors and pulsating energy, is a great way to start the evening. 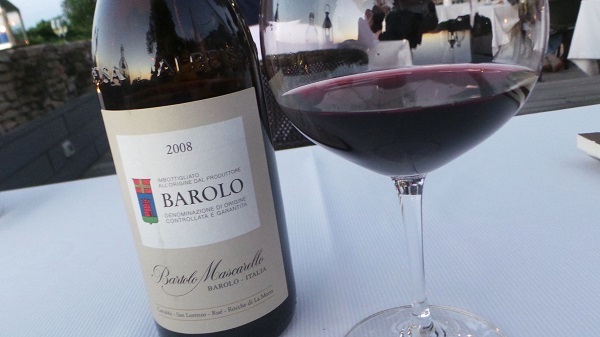 I have had Bartolo Mascarello’s 2008 Barolo on many occasions. This is by far the tightest, most powerful bottle of the 2008 I have yet to taste. The sweet, perfumed aromatics that are present are muted and hiding behind a wall of imposing tannins. I have a similar impression with the 2008 Conterno Cascina Francia. Power dominates over finesse on this night. Maybe it was the moon, or perhaps the wines are in an awkward stage, but neither bottle truly lives up to its usual profoundness. I am not a big fan of sweets, so the small piccola pasticceria that accompanies coffee is more than enough. Nothing can possibly beat watching the last rays of the summertime sun disappear over these magical, breathtaking hills. Readers visiting Piedmont who want to experience the best in food and hospitality will want to check out Da Guido. I suggest spending a night or two at the Relais San Maurizio to take in the full splendor of the tranquil surroundings. Both the Relais and Da Guido are at the top end for Piedmont in terms of pricing, but they are worth it. Best of all, staying at the Relais eliminates the need to drive after dinner, so an extra bottle or two from Andrea Alciati's extensive list should pose no issues.